Banks and Bayley reportedly furious at WrestleMania 35 loss. Rumours over Sasha Banks' alleged dissatisfaction with her current employers received a fresh sprinkling of this spice this weekend thanks to the WWE's performer's very intriguing social media activity. Eagle eyed fans over on Reddit - or at least, those religiously glued to their smartphones - noted that the recently deposed WWE Women's Tag Team Champion unfollowed her current paymasters on Twitter, and began following... you guessed it... AEW. This is the digital equivalent of scratching your name off a local tree and replacing it with a new beau. Sasha <3 AEW 4EVA IDST. Sasha Banks was absent from this Monday's episode of Raw. Meanwhile, Bayley was soundly thrashed by Alexa Bliss in an inexplicable encounter. All this smoke certainly seems to point to a mounting fire behind the scenes, but given we're in the Reality 2.0 era, this could yet all be an elaborate meta-ruse to drum up interest. As they say: watch this space. 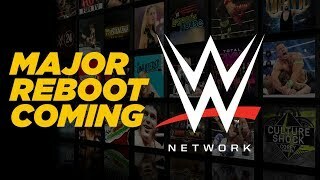 HUGE WWE Network Relaunch In September, Hardyz To Vacate Belts?